Whenever the Word “Delight” come’s to our mind, what is the Brand that hits your mind. 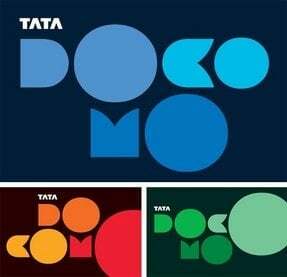 There is only one brand we always think of Yes, Its correct Its Tata Docomo , Reason, as its always know for the delighting the customers whether its VAS or New STV or Any new services. To Keep the Word alive in the market, TATA DOCOMO in association with market leaders in mobile phone Samsung launched the Second TATA DOCOMO Smart Picks Offers for its customers with some cool offers. Under Tata Docomo SmartPicks – Samsung smartphones, customer can choose from a range of Five popular Samsung 3G smartphones along with very attractive offers on both new Post Pay and Prepay , available Exclusively on TATA DOCOMO. · Samsung Galaxy ACE: Runs on Android 2.2; More than 150000 applications available for download from Android Market. · Samsung 551: Runs on Android 2.2; Touch + Qwerty keypad; Enjoy constant communication with your loved ones ; Android Market. · Samsung Monte: Samsung’s largest selling 3G phone with Dual Camera for Video Calling. · Samsung Wave 723: Runs on Bada OS. Bada is a fully integrated platform designed specifically to support cutting-edge applications and services. This gives unmatched support for social networking, device synchronization, content management and location-based services. Video Calling has Handset dependency and may not work if your handset does not support it. Samsung Galaxy Ace and Samsung Galaxy 551 do not support video calling. *Video Calling feature is available. Customer needs to use the Rear Camera for the same. Why does Docomo not work properly on the Galaxy Ace!?? I’ve used Idea on the same phone and it works the internet perfectly.. Docomo on the other hand is not loading the market, not opening pages quickly and not providing the better internet quality i used to get on an older phone before going to the Ace..
Is there something i could do to make Docomo work better on the Galaxy Ace?